Scottsdale, Ariz. – Aug. 7, 2017 – A fourth consecutive appearance on CRN’s Fast Growth 150 list for IT solution providers is the latest indicator of remarkably steady growth for vCORE Technology Partners, which continues to expand its offerings and expertise across North America. According to rankings released Monday by CRN, a brand of The Channel Co., vCORE placed No. 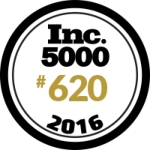 68 on the industry publication’s list of fastest-growing technology integrators, solution providers and IT consultants between 2014 and 2016. The 150 companies on the list accounted for combined revenue of more than $16 billion, according to CRN. While the list includes many newcomers in 2017, vCORE is among a smaller group making a repeat appearance and is in even rarer company with four consecutive years of industry-leading growth. vCORE, which launched in 2010, has invested heavily in practices surrounding public cloud, security and networking, in addition to its traditional strengths in storage, virtualization and data protection. vCORE’s technical expertise landed it a spot on CRN’s Tech Elite 250 earlier this year. 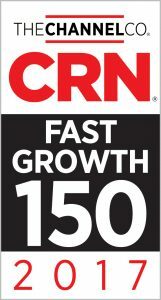 The Fast Growth 150 list is highlighted in the August issue of CRN and can be viewed online at www.crn.com/fastgrowth150. The company has also seen explosive growth as a managed services provider, including full IT management, managed security, cloud and staff augmentation. vCORE’s personal, proactive approach includes routine system “health checks” and 24/7/365 customer support from its Arizona-based Network Operations Center. Headquartered in Scottsdale, Ariz., vCORE maintains a regional presence in in Irvine, Calif.; Honolulu, Hi. ; Calgary, Alberta; Seattle, Wash.; Atlanta, Ga. and Denver, Colo.
For more information, visit www.vcoretec.com. vCORE Technology Partners provides customized IT solutions and services for more than 100 companies across the U.S. and Canada. Headquartered in Scottsdale, Ariz., vCORE was launched in 2010 and has since enjoyed industry-leading growth. Our team includes proven experts in IT solutions, including hybrid cloud infrastructure, security, networking, data protection and proactive managed services. Clients include multibillion-dollar media companies, major health-care providers, technology giants, data centers and others. Let us earn your trust. vCORE’s clients appreciate our proactive approach to building strong relationships and providing exceptional customer service, which is reflected in our 99.6 percent satisfaction score. We look forward to earning your confidence and being a part of your technology transformation. vCORE is one of just 150 IT Solution Providers in North America recognized as an “elite” managed services provider as part of CRN’s annual MSP 500 list.